In this episode, I’m introducing you to my new site and explain the very candid reasons behind it. 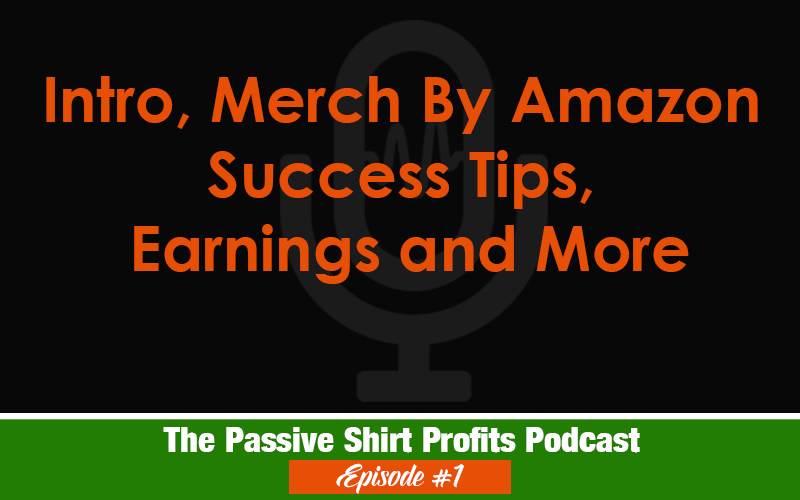 I discuss my experience and earnings with Merch By Amazon thus far, and more importantly, learn how this site is going to help YOU in your print on demand journey. Hi Lisa, I’m a little late to the game, but I’m starting my journey on MBA following your lead, I’m at tier 25. I tiered up by designed a shirt for my co-workers in, I bought 5 shirts to sell to my co-workers and check the quality of the product, instantly I got tiered up. I have been on MBA for two months now but still haven’t made a sell from organic traffic. I think my designs are good, I have a design background, maybe I need more knowledge on keywords and trends. Anyway looking forward to learning from you. Excellent first episode, Lisa! I’ve known you from 2createawebsite and happy to follow you here now.